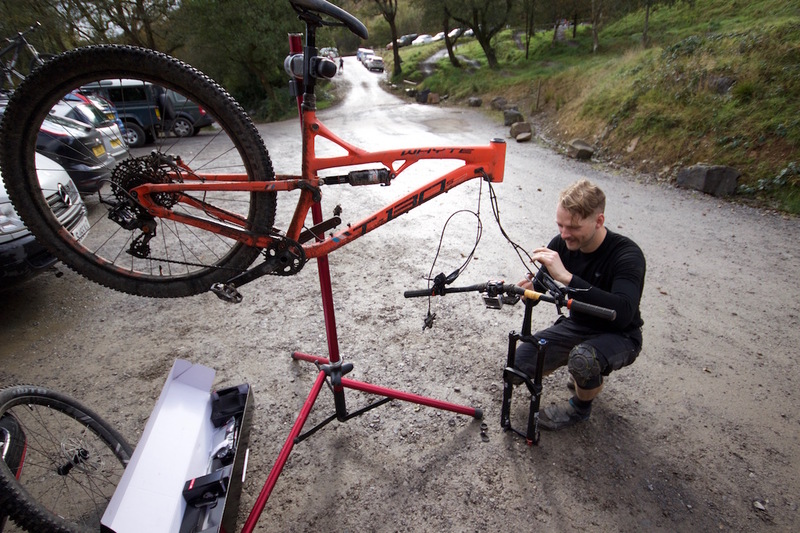 Having spoken with many bike shop mechanics and demo van drivers over the years, one of the common ailments that seems to afflict most mountain bikes out there is improper suspension setup. 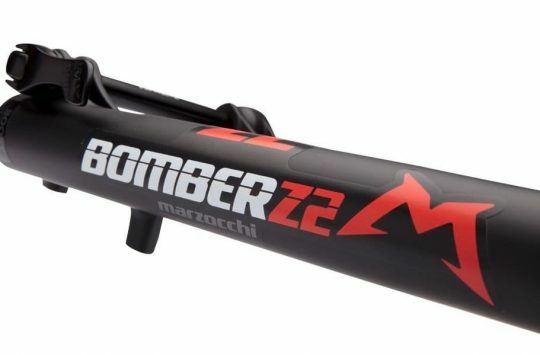 Given the complexity of some of the damping adjustments on most modern suspension forks, and the fact that you require a specific pump to adjust them, that’s hardly a surprise. But that doesn’t make it any less of a problem though. One of the most simple ways to get the most out of your bike’s suspension is to get the sag setup correctly. This typically involves sitting (or standing) on your bike while stationary, and measuring the amount that the suspension compresses under your weight. If you get the sag setup correctly for your riding weight (that’s you plus your shoes, helmet, backpack etc), then in theory you should be able to access all of the travel on your fork and shock, without having it bottom out too harshly and frequently. Small and easy to stow in your pack, the Saggle makes suspension setup a doddle. The Saggle is a small and relatively basic tool that’s designed to help you with exactly that. 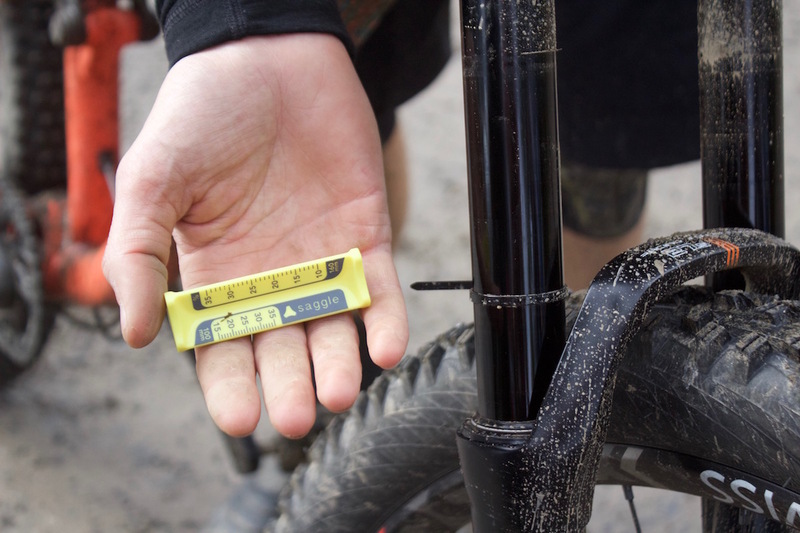 Unless you have a RockShox fork that comes with a printed sag indicator directly on the stanchion (such as a PIKE or a SID), measuring this sag amount normally involves pulling out a measuring tape. 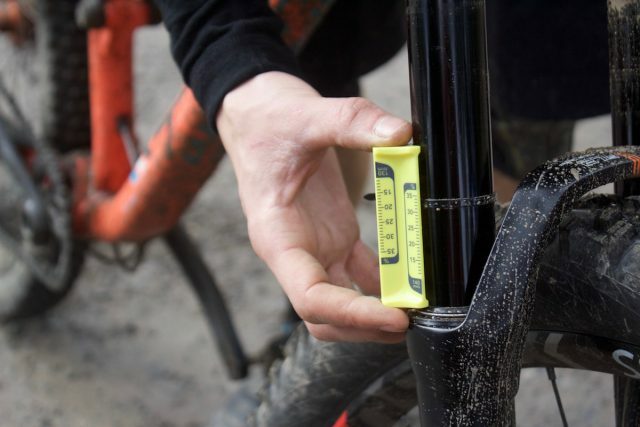 As a more convenient solution that’s purpose built for the job, the Saggle is a small plastic guide that has printed guidelines on it depending on what travel your fork is at. The Saggle has printed guidelines for 100mm, 120mm, 130mm, 140mm, 150mm and 160mm travel forks. Once you’ve measured the amount of sag, you can make adjustments to the air pressure from there to increase or decrease the sag amount. For most forks, sag should be around 15-30% depending on your riding style and the type of bike you’ve got. The Saggle came in handy this week while we were at Bikepark Wales for our fork group test. Because the Saggle is so compact and lightweight, it’s an easy tool to throw into your backpack along with a shock pump. It’s bright yellow so it’s pretty hard to miss, and with its curved profile and plastic construction, it fits neatly around most alloy fork stanchions without fear of scratching them. The Saggle is made in the UK and costs £7.99. Lots of fork swapping and trailside adjustments. It ain’t all beer and skittles! We’ve been making good use of a Saggle this week while down in Bikepark Wales undertaking some fork testing. You’ll be able to read about the trail fork group test in the next issue of Singletrack Magazine, where we’ve pitched seven popular 130-140mm travel trail forks against each other to see what comes out on top. Those forks include the X-Fusion Streat, Fox 34 and RockShox PIKE that you may have already seen on Fresh Goods Friday. We’ve also been testing forks from BOS, Formula & DT Swiss, as well as the RST Rogue. 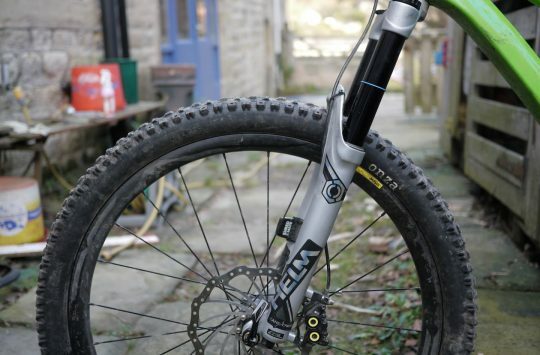 Want to have a look at the bikes we’ve been fork testing on? Then check out our Facebook Live video direct from the top of Bikepark Wales! But does it work with rigid forks…? Yes, it’ll accurately measure 0% sag. watch out for the upcoming review of modern forks. “…one of the most common ailments that seems to affix most mountain bikes…” Do you mean ‘afflict’? Epicyclo: article clearly states it has scales for 100mm – 160mm travel. So, won’t work with rigid, viz. 0mm travel, forks. Junkyard: “attach position” – yes, I had similar problems. Can’t figure out what language it’s written in. Clearly not English even though there’re many English words. 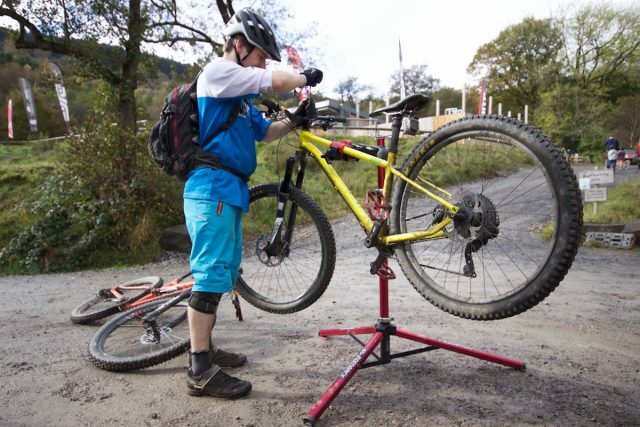 For example “most common ailments that seems to affix most mountain bikes” in 2nd sentence. Thought I might buy a Saggle to help figure out what it’s all about but the website is sold out. So the whole thing remains a mystery. @prettygreenparrot – thanks for the pickup! As for the Saggle itself, it’s just a simple tool to help you with measuring suspension sag. It’s not revolutionary, but it’s well designed, and it has proven to be incredibly handy for us here at the Singletrack office given the number of test bikes and forks that we’re typically setting up and riding. Alternatively, you can just use a measuring tape or a ruler to measure the sag on your fork instead. Granted it’s not as convenient to have in your saddle bag or backpack, but it’ll achieve the same result if you follow the steps listed in the above article. That’s a bummer that Saggle is sold out, but we do have a spare one at the office. 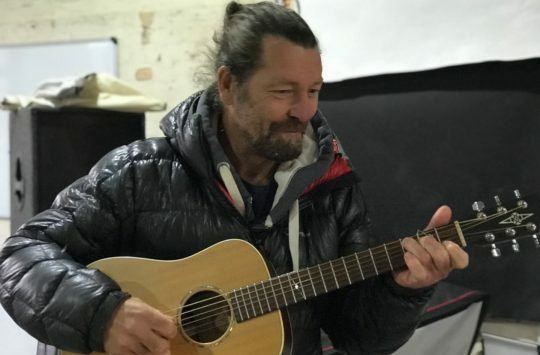 If it’s available, would you like me to post one out for you to try? @singletrackwil I’ll take the spare one if oceandweller doesn’t want it. @oceandweller emailed us back and got in first, as he’s quite keen to try one out. If we come across another Saggle, I’ll be sure to drop you a line though mate!